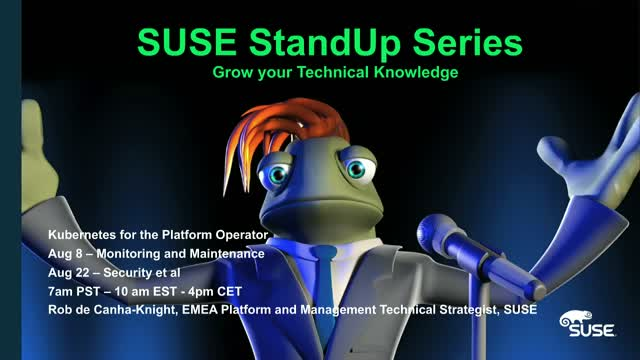 In our third installment of this series, Rob de Canha-Knight, SUSE EMEA Platform and Management Technical Strategist, focuses on maintenance and monitoring of Kubernetes. Platform monitoring should be easy to use and understand and in this 30-minute webinar, Rob dives into what operators need to know about monitoring and maintenance of any Kubernetes-based solution. There will be live demos!